TRE PRINCIPESSE GOES TO HOLLYWOOD! 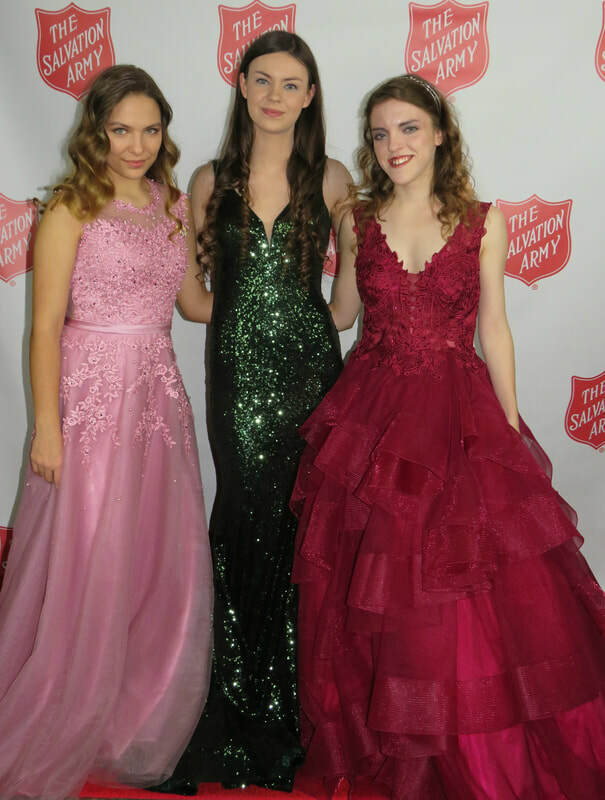 TRE PRINCIPESSE has just returned from Hollywood, California! 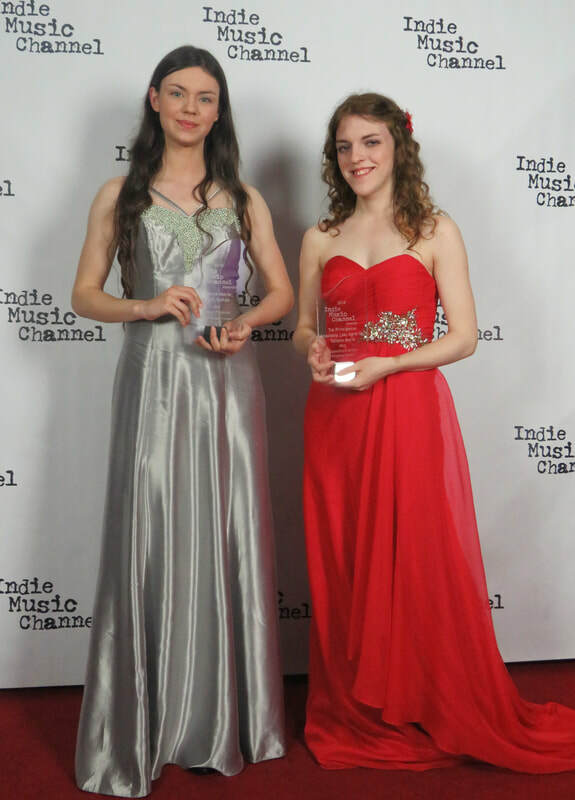 They attended the Indie Music Channel Awards which was being held at the Hard Rock Cafe - Hollywood. They were honored to be nominated for several awards and they were even more honored to win in two of the categories. The ladies won in both "Best Gospel Producer" (to their recording engineer Marc Golde, Rock Garden Studio, Appleton, WI) and "Best Soundtrack Artists" for their "Broadway Medley" off of their debut CD. CD REVIEWS: "Whoever came up with the idea of the three of you collaborating musically is a genius..."
"Hello to the "Tre Principesse!" Your new CD "Getting to Know You" arrived today, and I'm enjoying it very much. Whoever came up with the idea of getting the three of you together to collaborate musically is a genius.Your voices are all so different - each unique, in fact - yet they come together nicely on the CD. Great song choices, too - especially "You Were Always on My Mind," and "Autumn Leaves." If you are planning a tour to promote the album, I hope come to Boston!" "The CD showed up in my mailbox on Saturday! Awesomeness! Oh, what a perfect balance of songs of the music genres I love the most! It is also my first autographed CD! I look forward to more from the Tre Principesse!" CD REVIEW: "I thoroughly recommend this album..."
"My wife, Brenda, and I have just been listening to Getting to Know You. I knew that this album was going to be good, it has exceeeded my expectations - it is absolutely wonderful. Brenda loved it also he comment was 'that it is very very excellent'. We both agree that there is something on the album for everyone. So many many congratulations Anastasia Lee, Agne Giedraityte, & Tatiana Marie - the Tre Principesse. I thoroughly recommend this album." CD REVIEW: "This CD is never boring... each track brings a new and different musical experience..."
"Over a year ago, when I first learned that the three Midwest young singers, Agne G., Anastasia Lee, and Tatiana Marie, were embarking on a joint effort to produce a CD as the “Tre Principesse” , I was more than skeptical. I couldn’t see how three distinctively different voices and genres could be successful on a single album. After all, there was Tatiana with a light almost innocent classical country/western voice, Anastasia with a powerful contralto voice, and Agne’s classically-trained soprano voice. How could this all blend on one CD? I had to wait over a year to find out that my skepticism was totally ill-founded. After listening to “Getting to Know You” for the first time, I was immediately struck by how masterfully this album was produced. It was almost like weaving different colors and themes into a tapestry masterpiece. From the first song, “Always On My Mind,” to the powerful conclusion of the Broadway Medley, each song contributed to a masterpiece defining the term classical /crossover with a touch of classic country. Each song was chosen to feature and highlight the performer’s unique voice. The solos were interspersed with magnificent duets showcasing blend and harmony of their voices. This musical experience flows like a gentle but powerful river which brings a new and delightful experience around each bend. I found that this CD is never boring for each track brings with it a new and different musical experience which features the distinctively different voices of these extremely talented young people. The production features the beauty of their voices and was never overwhelmed by the appropriate and well orchestrated accompaniment. “Getting To Know You” is for anyone who wishes to experience a masterpiece of musical tapestry. In the first week of sales the girl's album hit #2 on Billboard's Classical Chart, a well deserved ranking." CD REVIEW: "The CD is superbly produced..."
"First of all, for anyone reading this, please let me be up front. I am basically a retired, 63-year-old guy, with lots of experience associated with USN and USAA and absolutely none, zip, zero, zilch formal skills or training in music, I just know what I like. I also have no connection to these outstanding young ladies. So, the following is my one-person opinion. The CD is superbly produced. Very clear and crisp, smooth transitions throughout, no electronic trickery of any kind that I could detect. These are simply their very well recorded and produced honest voices. The overall production is good. It’s a first album and obviously doesn’t have a $MM budget for inserts and such. What is does provide is a very honest and straightforward self-assessment by these young ladies of themselves and their dreams. I DO recognize the huge personal effort they have made in physical labor. I listened straight through and found the selections well suited to demonstrate the various voices and to provide insight into their strengths. I might suggest listening to the last cut first to set you mentally for all they can do. Track one provides a great illustration of each lady’s strength and her individual strong point. Agne has tremendous range, generally an operatic sound, with exceptional coverage at the high ranges. Anastasia is very clearly made for fuller musical styles and has the capability to deliver. Josh Groban [who Anastasia sang with when she was 14] is not going to forget her! I should confess a bias to be fair, I am personally most drawn to Tatiana’s voice. I enjoy a very wide range of music, but prefer good Pop/Country, not the twangy stuff. Track 4 is wonderful in demonstrating country, pop and still illustrate her depth of range. I would encourage her to try some very new stuff and see how it goes. If you are familiar with current Celtic and Old Anglican style prayer music, tracks 3, 5 and 6 are phenomenal. Agne’s Carrickfergus could stand up to anything to anything by 'Celtic Woman'. As mentioned, the closing Broadway Medley is an exceptional comparative presentation of their individual and combined sounds. These young women are a true treasure. I am happy I found them." CD REVIEW: "This CD is a masterpiece..."
"Years ago I had musical training... This CD is a masterpiece and truthfully shows the exceptional voices of these young woman. Amazing Grace is so emotional. The Broadway melody: they could easily be on Broadway. The time and effort put into making this CD is incomparable. And, yes, Josh Groban needs to hear this CD. I feel so drawn to these exceptionally talented women - and, no I have never met them, but I consider them and their families to be a part of my family. Their poodles as well."